Whether you are new to LPG or just looking to compare alternative suppliers, there are a number of things to consider when you evaluate LPG gas suppliers. It’s pretty basic logic that the more delivery vehicles and drivers in the supplier's fleet, the more reliable the service. The trucks also need to be large enough to make the required volume of deliveries, not just little utes. This is especially true during the peak winter season. It’s hard to be everywhere every day, but it’s even harder if you don’t have enough delivery trucks and capacity. Smaller LPG suppliers may only offer cylinder exchange service. However, you should look for an LPG supplier that also offers on-site filling from LPG tankers. Tanker refills have a number of advantages for you, as the user, especially if the supplier offers automatic tanker delivery. Many LPG suppliers can only offer 45kg gas bottles because they don’t have the tankers required to fill larger sized cylinders, like 90kg and 210kg. If you are a heavy user of LPG, this could force you to spend extra money on your installation, with an elaborate manifold system for multiple 45kg bottles. You should pick an LPG supplier that can give you the gas cylinder sizes you need. You need to be able to communicate with and get information from your LPG supplier. Look for a comprehensive web site, with answers to more than just the simple questions. They should supply LPG "How To” advice for all aspects of your LPG use, from gas bottle operating instructions to advice on gas appliances, as well as information on technical issues. An active and informative Facebook page is also valuable, as you can interact with other LPG users, as well as the LPG supplier. 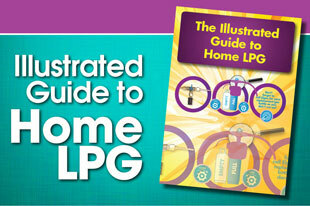 If you are a first time user of home LPG, you will probably need additional guidance to explain how everything works. The supplier should provide detailed "How-to" instructions and answers to frequently asked questions specifically tailored for new LPG users. You should be able to contact the supplier 24/7 for all of your needs. We are talking real live people at the other end of the phone line and not answering machines. And those people should be in New Zealand and not some overseas call centre. You want an LPG supplier that is focussed on your needs. For example, as industrial gas suppliers primarily deal with businesses, they can only be contacted during business hours. 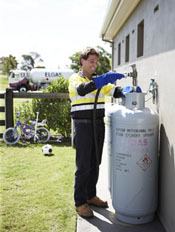 Look for an LPG supplier that specialises in the needs of homeowners. Look for a supplier that specialises in LPG. A number of electricty suppliers offer LPG, but only as a sideline. An LPG specialist supplier that does just the one thing must do it very well. For obvious reasons it is advantageous to deal with a supplier that has a local depot in your area. Look for a large LPG supplier that has a local company branch run by local people from your area. They have all of the large supplier advantages combined with friendly local service and knowledge. As with all modern product and service suppliers, you should expect to have full online access and interaction with your LPG supplier. You should be able to order online and receive a real-time confirmation number, not just an automated email. Online credit card payments should be through a secure server and you should be able to access all of your account details whenever you need them. 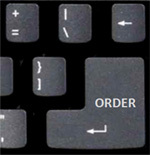 Telephone keypad ordering and SMS (Text) LPG orders are also handy. You should look for a supplier that can supply the tools you need for your lifestyle. They should have a smartphone App available for your iPhone, iPad or Android device that let's you manage your LPG from anywhere at any time. The entire web site should also be mobile compatible so you can easily access the information you need. Managing your LPG should be easy! One of the advantages of a large national supplier is in the event of natural disasters, like floods or bushfires. The larger companies have resources, from other areas, which they can mobilise and bring to the affected areas. This is particularly important if the LPG depot itself is affected by the disaster, as happened during the earthquake in Christchurch. Small local suppliers simply don’t have that kind of backup capability. 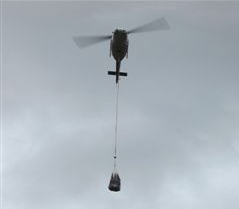 I even know of a large LPG supplier that organised a helicopter delivery of LPG to a small town cut off by a landslide. No points for guessing who that was! Your LPG supplier should have more than just local storage capacity. They should have upstream supply, storage and transport facilities to provide Surety of Supply. Price is important but the fact is that there usually isn’t much difference between suppliers. Most LPG suppliers are subject to a world LPG benchmark price, known as the “Saudi CP”. This benchmark varies on a monthly basis and is a major determining factor in how much the LPG suppliers pays for the LPG they supply to you. Pricing can vary a bit based on a number of factors including the cost of supply, haulage and delivery to different areas. Some LPG suppliers try to lock you in to a 12 or 24 month contract for your home LPG. You should look for a supplier that has a No Contracts Policy, where you stay because you want to, not because you have to. Once again, the larger suppliers have an advantage over smaller suppliers in LPG safety. 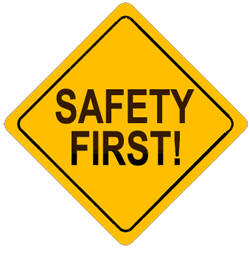 Large LPG suppliers can justify full time safety staff like National Safety Managers, National Training Managers and Technical Compliance Managers, to make sure that safety is the priority. In addition, your LPG supplier should have an Emergency Help Line that is manned 24/7/365. There is only one LPG company in New Zealand that ticks all of these boxes. I think you've probably already figured out which LPG supplier that is.